One of the goals of a good marketing program is to help separate your product, service or company from the competition in the mind of the consumer. There is a pretty good chance that you are not the only company offering your particular product or service. Since you have direct competition, you need to give consumers a reason to choose your product. Most direct selling training strategies utilize products and services as ways to separate one company from another. But any marketing professional will tell you that it takes more than just an extra year of warranty to convince customers to buy your product over the competition. When you are creating your marketing program, there are some rules that you should follow when you are trying to put some distance between yourself and the competition. As we mentioned, offering your customers an extra year on the warranty is usually not going to create a huge spike in sales. You need to do market research and find something that would really matter to your target audience. Is your competition’s product only offered in green when customers want red? If that is what matters to your clients, then that is the change you have to make. If you are planning on initiating a branding campaign that is not based on real market research, then you could be setting yourself up to waste a lot of money. The most effective direct selling strategies are the ones that are based on a positive message. If you have something that sets you apart from the competition, then use it in your marketing material without belittling your competition at the same time. Your customers will see the difference and make their own decisions. Do not try to separate your company from the competition by bashing the competition. It will backfire on you. Your message should also be based on something positive. When it comes to branding your company or your product, there is such a thing as bad publicity. Be sure that your message is positive so that customers will feel good about buying your product. When you are differentiating yourself from the competition, you need to give your target audience a lot of information to work with. Don’t compare yourself directly to the competition. Instead, offer a broad range of information that shows your audience why you are better than the competition and let that stand on its own merits. 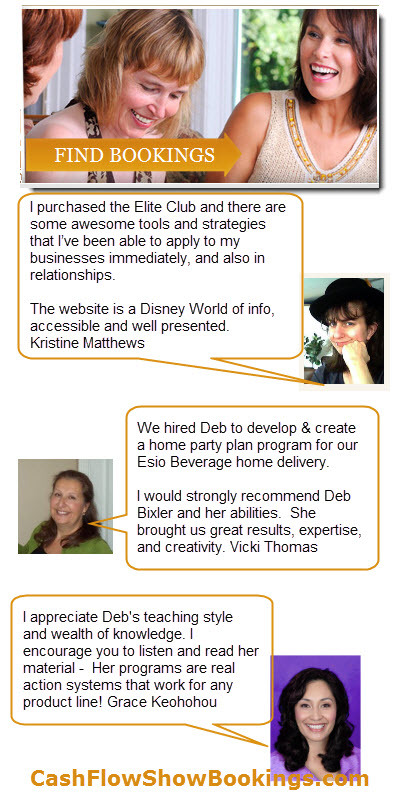 Learn more tips and strategies that will guarantee your home business success at Deb’s Cash Flow Show – Direct Sales Training website! What Can a Direct Sales Consultant Do to Increase Sales?